Zombies are the “in” thing in Hollywood right now. The Walking Dead is AMC’s highest rated show with an average of 11.2 MILLION viewers each week. World War Z was both a bestseller and a hit at the box office. And despite losing big stars like Natalie Portman & Emma Stone who were at one time or another attached to the project, Pride and Prejudice and Zombies just won’t stay dead – Lilly Collins (The Mortal Instruments) is currently attached to the lead role. So what should a zombie-loving teen reader pick as their next read? 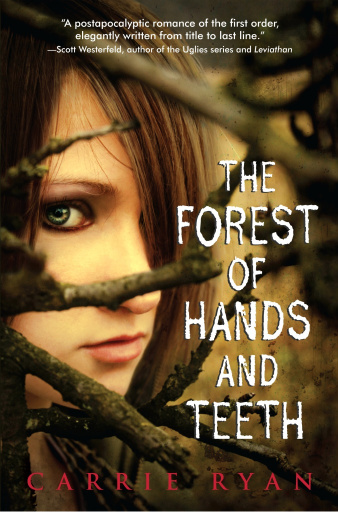 The Forest of Hands and Teeth series, by Carrie Ryan is an excellent choice and one that young adult (and adult) readers are sure to devour. Set seven generations after a zombie plague called the Return, society has reverted back to a more simple way of life. Everyone lives in walled cities to keep the undead out, an ancient order called the Sisterhood controls every facet of the village people’s lives and technology is all but non-existent. No one really knows if there are any other survivors past the forest – most don’t believe there are but Mary and her mother have always dreamed about an ocean beyond the forest where the zombies can’t reach them. When there’s a breach in the wall, Mary must escape the life she’s always known in order to save herself and find life outside a world ruled by death. The second book in the series takes place 30 years after The Forest of Hands and Teeth and humans are still living with the threat of zombies. Gabry lives in a lighthouse with her mother, just on the outskirts of a town trapped between the ocean and the forest. No one is permitted to cross the barrier and anyone who does is punished by being sent to join the Recruiters, the “zombie hunters” of their society. Following a dangerous dare, Gabry and some friends slip over the wall one night to escape to an old, abandoned amusement park just outside the city and are attacked by a ravenous group of zombies. In a panic, many of her friends (including her boyfriend Catcher) disappear out into the forest. Determined to bring any uninfected survivors back, Gabry sets out on a rescue mission that leads her to uncover the truth about not only herself but a whole new world which exists beyond the forest. 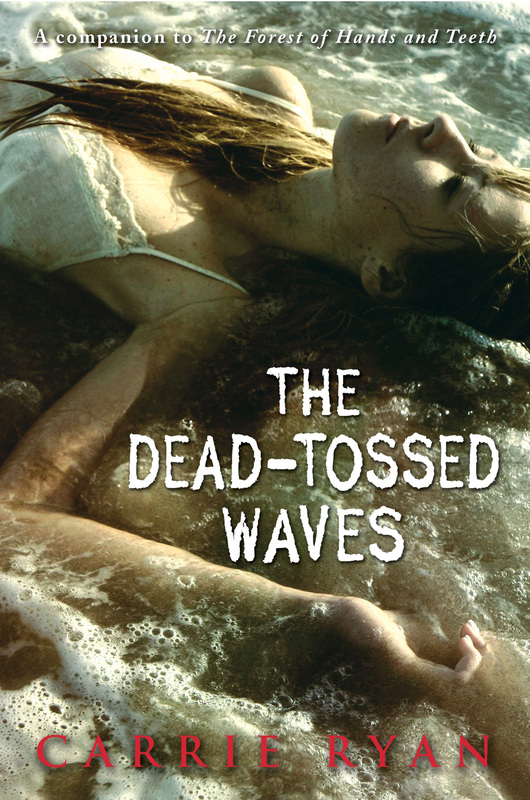 Picking up where The Dead Tossed Waves left off, The Dark and Hollow Places follows Gabry as she fights her way through a zombie horde into the Dark City. It’s there that she meets Annah, who has a surprising connection to her past. As the girls look for ways to survive the impending mass invasion of the Returned, they’re faced with imprisonment and abuse from the Recruiters as well as emotional anguish as someone close to them becomes infected. 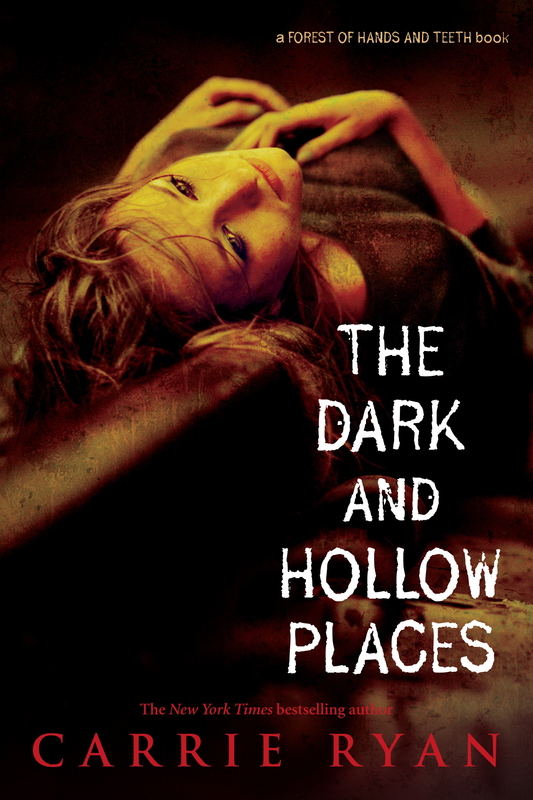 The final book in the trilogy, The Dark and Hollow Places, takes readers through an intense, thrilling and heartbreaking journey, which will leave you wanting more of Gabry’s story.